While some argue that it is a necessity of winter driving, four-wheel-drive often comes at a premium. It’s often more expensive to fuel, more expensive to maintain, and more expensive to purchase. And while the ML350 is by no means an inexpensive vehicle, with a base price tag of $58,900 buyers are getting a lot for their money. 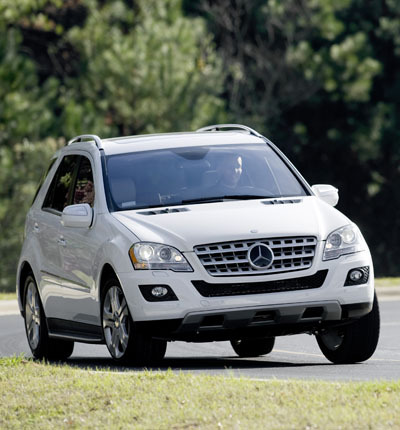 The ML350 BlueTEC comes equipped with a 7-speed automatic turbo-charged diesel, V-6 engine that is capable of producing 210-horsepower at 400 pound-feet of torque. With Mercedes’ permanent all-wheel-drive 4MATIC system, the ML350 is capable of reaching a top speed of 210 kilometres an hour, and accelerates to 100 km/h in a respectable 8.6 seconds. Thanks to Mercedes Benz BlueTEC’nology, the ML350’s diesel engine is able to eliminate more than 80 per cent of nitrous oxide emissions, and is able to achieve some pretty exceptional fuel economy – 11.8-Litre/100 km in the city and and 8.2-L/100 km on the highway. 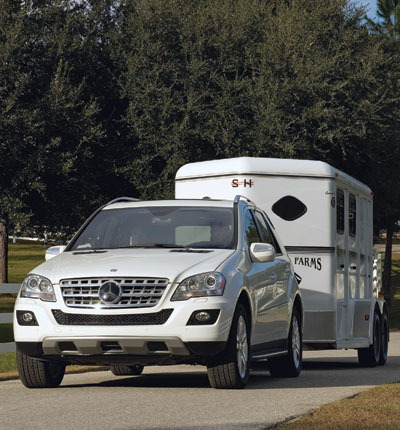 Aside from impressive performance and environmentalism, the ML350 BlueTEC is a luxurious vehicle – both inside and out. The driver, and his or her passengers, will feel well at home inside the vehicle’s cabin. Standard equipment includes leather seating, a 10-way power adjustable drivers seat, heated front seats and steering wheel (perfect for the Canadian winter! ), a heated windshield washing system, brake assist, and an electronic stability program that includes ABS brakes. 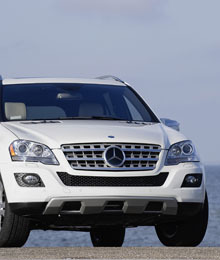 Outside the vehicle, the ML350 BlueTEC comes with active xenon headlights, and 19-inch, 5-spoke alloy wheels.